The story of an iconic building in Nicaragua’s military history that is open to all visitors nowadays. At the end of Calle Real Xalteva stands one of the iconic buildings of Nicaragua’s military history. A fortress built in 1748 in the context of the war against pirates; its walls witnessed the indigenous rebellion against the Spanish oppression and through the years it served as barracks and prison to the different regimes that have ruled Nicaragua. We are talking about ‘La Pólvora Fortress’, which still has the martial look of days past. The visitors to ‘La Pólvora Fortress’ can find out that it was built in the last months of 1747, according to a sign inlaid close to the entrance. The history of this place is bigger than this sign. The Spanish ordered its construction to be able to store the gunpowder that could not be stored due to humidity in El Castillo Fortress in Rio San Juan. 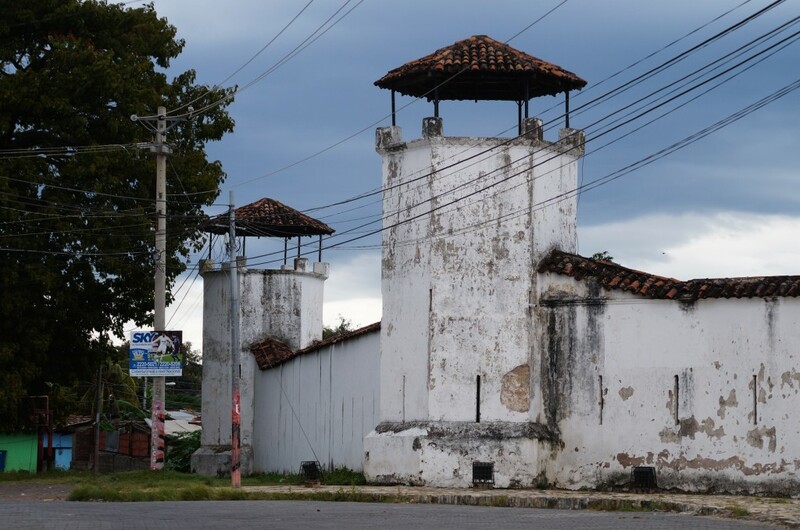 The gunpowder was transported from Granada all the way to Rio San Juan, and ‘La Pólvora’ was also used as barracks for the soldiers quartered in the city. In 1812, ‘La Pólvora’ fortress went through another happening that splashed blood on its walls. The conditions of slavery and exploitation endured by the indigenous people, led to big contradictions between them and the Spanish and ultimately, to a fight intended to reclaim their rights. On the morning of April 12th 1812 the rebellion started, having as a result the annihilation of the indigenous army under the Spanish fire. According to the historians, hundreds of corpses laid in what is now known as Plaza Xalteva. After the Independence, ‘La Polvora Fortress’ stopped being used as a gunpowder storage, a building called ‘Cuerpo de Guardia’ was built to its South in order to serve as barracks for the guards that watched over the city. The big wall and the turrets that still remain were added in 1913. During Adolfo Díaz government (1912-1916) it was decreed that ‘La Pólvora Fortress’ “shall be a building of great military importance, for its position within the city and its style; it shall also provide moral strength so the Granadino soldier finds the necessary elements to expand his patriotism and promote his advancement”. When Anastasio Somoza García ruled the country (1951-1958) and rebels begun to get organized against his regime, the fortress became a prison not only for criminals, but for political prisoners as well. During Somoza Debayle’s presidency (1967-1978), “La Pólvora” became a “Rehabilitation Center”, which was the name the government used to call the place where they would send political prisoners. The original house of “La Pólvora” was designated as a torture chamber and the house of the the “Cuerpo de Guardia” was turned into a prison. When the revolution happened, “La Pólvora” Fortress the became the quarters of the revolutionary police for three years and then it was left to be almost destroyed. During the 90’s the building was restored and it is now one of the landmarks of the city. Through the gates you can see the thick adobe walls and a canyon that once exploded with the gunpowder that used to be stored here. *To get to La Pólvora you can get a horse carriage tour or walk west to the end of Xalteva Street.